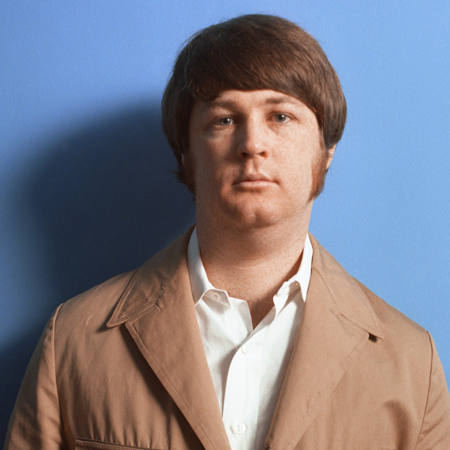 Born and raised in California, Brian Douglas Wilson is a popular musician. He is also a famous songwriter, record producer, singer, and the co-founder of the band The Beach Boys. Recognized as one of the most significant, and innovative songwriters of the 20th century, Wilson is known for the mastery of recording techniques and his unorthodox approaches to pop composition. Wilson has written dozens of hits in his lifetime and has earned several honors and awards including Grammy Awards (twice), and UK Music Hall of Fame by David Gilmour, lead guitarist of Pink Floyd. 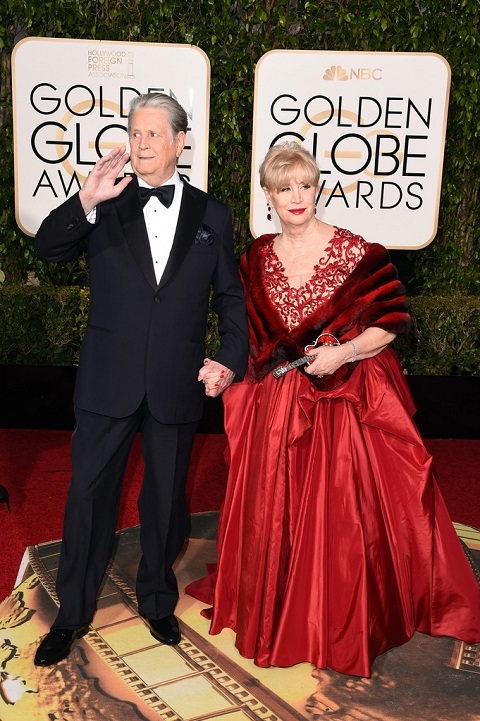 Married to Melinda Ledbetter since 1995, Brian Wilson has seven children and resides in Beverly Hills, with his family. Brian Douglas Wilson was born on 20 June 1942 in Inglewood, California to Murry Wilson and Audree Neva. Wilson has two brothers Carl Wilson and Dennis Wilson. 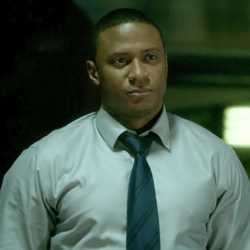 He is of mixed ethnicity( English, Irish, German, Dutch, and Swedish), and holds Ameican nationality. 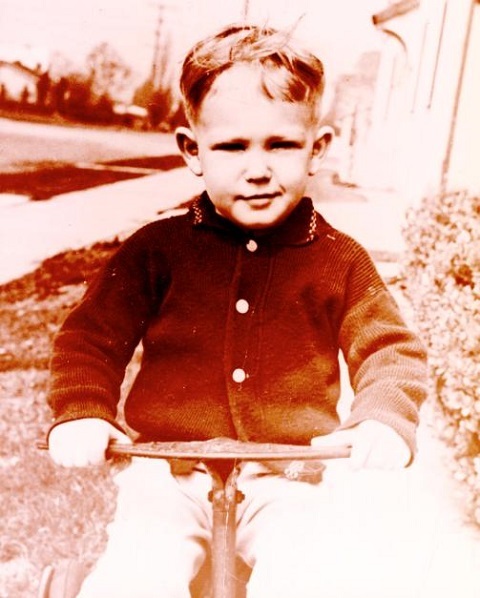 At the age of two, Wilson moved to 3701 West 119th Street, Hawthorne, California. According to his father, before Wilson's first birthday, he could repeat melody from When the Caissons Go Rolling. 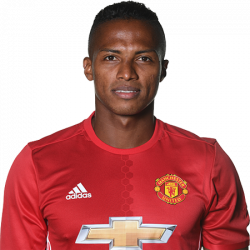 "He was very clever and quick. I just fell in love with him". Brian Douglas Wilson during his childhood suffered diminished hearing in the right ear. The exact reason behind his loss of hearing is still a mystery, but some assumptions have been made like bullied by his neighbor, born partially deaf, and blow to the head from his father. 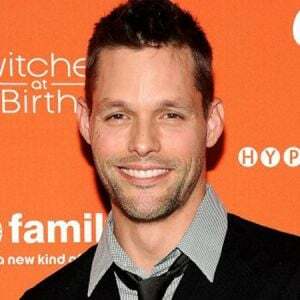 Wilson attended Hawthrone High School, where he played football as a quarterback and also played baseball. He even taught his two brothers harmony and all the three brothers used to practice together. Brian Douglas Wilson used to practice piano every day after school, decoding the harmonies of the Four Freshmen by listening to short parts of their song on a phonograph, and later rolled on to remake the mixed sound note by note on the keyboard. Wilson received a Wollensak tape recorder on his 16th birthday, allowing him to experiment with recording songs and early group vocals. Wilson studied at El Camino College in Los Angeles, majoring in psychology, in September 1960. He continued his music education at a community college at the same time. 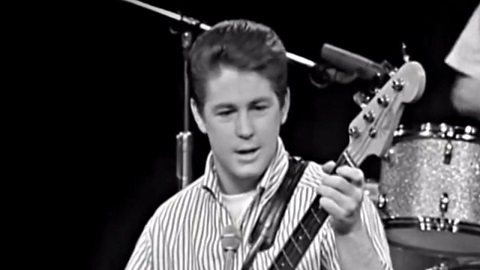 Brian Douglas Wilson wrote his first original song melody, based on Dion and the Belmonts version of When You Wish Upon a Star, in 1961. The song later became popular as Surfer Girl. The early demo of the track was recorded in February 1962 at World-Pacific Studios. The song was not re-recorded and released until 1963 when the song was listed as the top-ten hit. Wilson along with his brother Dennis, Carl, Al Jardine, and Mike Love first made an appearance as a music group in 1961, under the name the Pendletones. After being prodded by Dennis to write a song about the local water-sports craze, Brian Wilson and Mike Love created their first single for the band Surfin. During the Labor Day weekend in 1961, Wilson took advantage of the time. His parents were in Mexico City for few days, and the boys used the emergency money, his parents had left to rent an amplifier, a stand-up for bass for Jardine to play, and a microphone. After the boys practiced for two days in the Wilsons' music room, his parents returned home from Mexico. Wilson's father was impressed and was made the group's manager, and the band rolled on serious rehearsals for a proper studio session. Their song, Surfin recorded by Hite and Dorinda Morgan and was released on the small Candix Records label. Surfin became a top hit song in LA and peaked #75 on the national Billboard sales charts. However, the Pendletones were disbanded. Without the band's knowledge or permission, Candix Records changed the band's name to The Beach Boys. Brian Douglas Wilson along with his bandmates, with a set by Ike & Tina Turner, played their first main live show at the Ritchie Valens Memorial Dance on New Year's Eve, 1961. When Candix Records had a low economic condition and sold the master recordings of The Beach Boys to another label, Wilson's father Murry Wilson canceled the contract. As Surfin was pushed away from the charts, Brian Wilson had forged a songwriting collaboration with Gary Usher and created few fresh songs, including 409, a car song, that Usher-assisted him to write. The band's first album recording session was in Capitol's basement studios in the famous tower building in 1962. The bigger rooms were made to record the big orchestras and ensembles of the 1950s, not small rock groups. At Wilson's request, Capitol agreed to let the Beach Boys pay for their recording session outside, as the Capitol will own all the rights, and in case of a return, the Beach Boys will achieve a higher royalty rate on their record sales. In 1963 Jan, the Beach Boys recorded their first top-ten single titled, Surfin U.S.A., which started their long run of highly successful recording efforts at Hollywood's United Western Recorders on Sunset Boulevard. Brian Douglas Wilson was officially credited as the Beach Boys' producer on the Surfer Girl album for the first time which was recorded in June and July 1963 and released in September. The LP was ranked number seven on the national charts, containing singles that were in top fifteen hits. For a decade, Wilson rolled on to establish himself as a record producer by collaborating with the various artist. On 20 July 1963, Surf City which he co-wrote with Jan Berry was his first composition to reach the top of the US charts. Wilson's other non-Beach Boy work in this period included tracks by Donna Loren, the Castells, the Timers, Sharon Marie, and the Survivors. He kept on juggling between recording with the Beach Boys and producing songs for other singers and bands. The Beach Boys' rigorous performing schedule increasingly burdened Wilson, and following a panic attack during his flight from Los Angeles to Houston on 23rd December 1964, he stopped playing live with the band just to concentrate on studio productions and songwriting. In December, Brian Douglas Wilson smoked cannabis for the first time suggested by his friend Lorren Daro, an assistant at the William Morris Agency. Addicted to the drug's ability to reduce stress and inspire creativity, Brian Wilson finished the Beach Boys; forthcoming Today! Album by January 1965 and soon started to work on their next Summer Days. In April, Wilson tried his first acid trip, which has enhanced more effect on his spiritual and musical conceptions. His friend Daro was hesitant to give Wilson drugs, as he did not feel Wilson was ready to use it. Wilson kept using drugs for next more years, sometimes during his recording sessions too. Just a week after using LSD trip, Brian Douglas Wilson was diagnosed from auditory hallucinations, which have persisted throughout his life. In December 1965, Brian Douglas Wilson started working on material for a new project called Pet Sounds. He made a temporary songwriting partnership with lyricist Tony Asher, who was recommended to Wilson by his friend Daro. Wilson who recorded that albums' instruments with the Wrecking Crew, then gathered the Beach Boys to record vocals, after their tour from Japan. During their sessions for Pet Sounds sessions, Brian Wilson was working for his another song, which was held back from inclusion on the record as though it was not finished yet. The track ' Good Vibrations set a new standard for musicians and what could be received in the studio. The song was recorded in numerous studios and in multiple sessions, which cost them $50,000 at the time(currently $377,128) to record a single song for six months.The song was released in October 1966, as a single. It was Beach Boys' third number-one hit in the US, selling over a million copies. When the song Good Vibrations achieved universal success, Brian Douglas Wilson was working on his new project called Smile, which he described as a teenage symphony to God. When his project Smile was canceled, The Beach Boys went to a studio located in Wilson's living room in his new house in Bel Air. Throughout 1967, Brian Douglas Wilson oversaw the production of some heavily orchestrated songs holding onto his Smile work and Pet Sounds, like Time to Get alone, and Can't Wait Too Long. 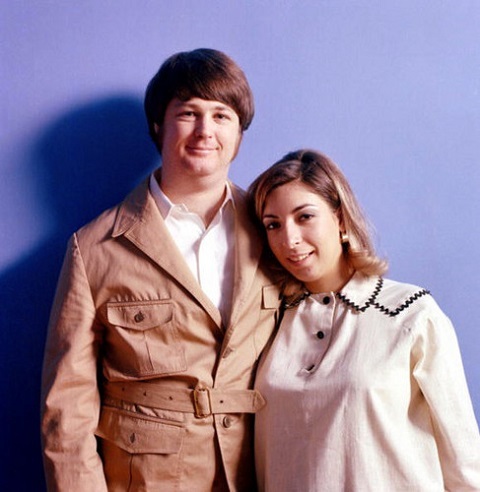 Still shocked by the cancellation, and the imminent birth of his first baby Carine Wilson at the same time in 1968, and the bankruptcy of the Beach Boys, Brian Wilson's innovative directorship within the band became more flimsy. Moreover, Wilson had begun using cocaine, and regular use of marijuana, amphetamines, and psychedelics. Later he went to a psychiatric hospital for a short period. As said by Peter Ames Carlin, famous biographer, Wilson may have been in many treatments ranging from talking therapies to doses of electroconvulsive therapy, and Lithium. During his absence, 1969's dwelled substantially of key Smile outtakes along with his song Time to Get Alone. 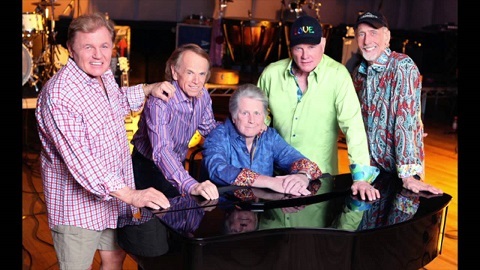 The lead track of the album which was authored by Mike Love and Brian Wilson Do it Again was a major throwback to the band's previous surf hits, and later became an international hit. The song reached number 20 on the US charts and no.1 in Australia and the United Kingdom. These incendiary remarks finally countered long-term contract negotiations with Deutsche Grammophon. Though his father Murry Wilson's sale of the Sea of Tunes which publishes longstanding company bile between son and father, Brian Wilson supported and stood up for Mike Love during their Northwest tour in 1970 when Love was recovering from illness. Brian Douglas Wilson continued to record and writing, however, their album Nevertheless failed commercially in the United States, reaching number 151 on four-week Billboard chart stay in 1970. In 1969, when the Capitol contract was terminated, the band signed a new contract with Reprise Records demanded Wilson's involvement with the band in every album, a factor that could cause a huge problem for the band in their future. 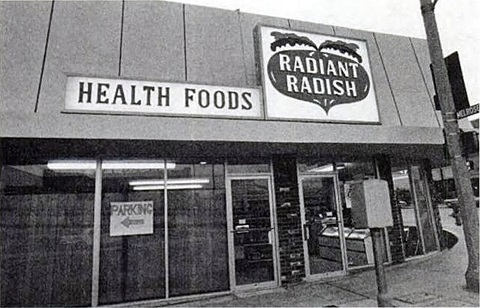 In 1969, Wilson opened a health food store named as The Radiant Radish for a short time. In 1971 the store was closed, due to the heavy loss. According to some reports, Brian Douglas Wilson was seemed depressed and was away from media. He was spotted in a limousine, roaming Hollywood, unshaven and bleary. When Stanley Shapiro approached Wilson; close friend and lyricist to rerecord and rewrite some of Beach Boys' songs, he called songwriter Tandyn Almer for collaboration. Shapiro, Brian, and Almer worked for a month remaking cuts from an album from the Beach Boys, Friends. From 1960 to early 1970, Wilson did countless demo recording in his home, which was later called as the Bedroom Tapes. Most of the recording remained unheard and unreleased. Some of the materials in his songs are described as " schizophrenia on Tape and " intensely personal songs of gentle humanism and strange experimentation, which reflected on his emotional state,'' as it was observed by the archivist of the band. While he was working at the Radiant Radish, Brian Douglas Wilson met radio presenter, and journalist, Jack Rieley, who later became the manager for the band and worked as Wilson's principal lyricist. By the end of 1971 and early 1972, Wilson worked on an album for the American Spring called Spring, a new of Diane Rovell and erstwhile Honey Marilyn Wilson. Brian Douglas Wilson almost hit rock bottom after his father's death in June 1973. He stayed in chauffeur's quarters in his home, taking drugs, too much alcohol, and sleeping, exhibiting self-destructive behavior and overheating. He also tried to drive his car off a cliff, and after some days, he demanded to be punished into and buried in a grave which he dug in his backyard. During the time, Wilson's voice became worse as a result of his excessive use of cocaine and non-stop smoking. Later, Brian Douglas Wilson claimed that he was heavily into drugs and was spending lots of time with Danny Hutton(whose house became the center of Wilson's social life) in 1970. He spent many nights at Hutton's home working with colleagues from Hollywood Vampire including, Iggy Pop, and Alice Cooper. Both of them were mutually dazed by Wilson's extended led singalong folk song Short Bread. Other visitors of Hutton's house includes Ringo Starr, Vampires Harry Nilsson, Keith Moon, and John Lennon. Micky Dolenz remembers using LSD with Lennon, Nilsson, and Wilson, where Wilson played a single note on a piano over and over. In 1974, during summer, the Capitol Records-era greatest hits compilation Endless Summer peaked no. 1 on the Billboard charts. Later, Brian Douglas Wilson gave his full attention to new track Child of Winter, a Christmas single co-written with Stephen Kalinich. The song was released on 23 December but failed to gain success. Though they were still under contract with the Warner Brothers, Brian Wilson signed for another production deal with Terry Melcher and Bruce Johnson's Equinox Records at the beginning of 1975. Brian Douglas Wilson signed for a solo record with Sire Records label boss Seymour Stein and also collaborated with Russ Titelman, Andy Paley, and Landy's girlfriend as co-writer on the new tracks. Old collaborator and friend Gary Usher was a key participant in previous demo work for the album, however, Landy later detached Usher from the project. After several years of Genesis, Wilson released his solo debut album titled Brian Wilson. Besides the critical success of his first solo album, rumors said that Brian Douglas Wilson suffered a stroke or disabled permanently due to maximum use of drugs. The real issue was Wilson, who was prescribed with a heavy dose of psychotropic drugs by Landy's staff from 1983, had created tardive dyskinesia. At the time of recording Brian Wilson album, engineering staffs observed what seemed to be '' every pharmaceutical on the face of the earth,'' implying him the medicine bag Landy used to keep Brian's prescription drugs. To disagree these claims, Landy separated from Wilson in 1989 to prove that Brian can function himself. Even after separation, they remained as business partners. In 1990, Brian went on for his second solo album following the direction of Landy called Sweet Insanity, but it was rejected by Sire. In the following year, an ostensible memoir, Would' not It be Nice: My Own Story was published. Regarding the book, Brian Douglas Wilson spoke about his messy relationship with his dad Murry Wilson, his private arguments with the Beach Boys and his loss of years due to mental problems. Brian Douglas Wilson released two albums in 1995. The first album was the soundtrack to Don Was' documentary I Just Wasn't Made for These Times, which included new versions of solo and Beach Boys' songs. The second Orange Crate Art, saw Wilson as the main vocalist on an album arranged, written, and produced by Van Dyke Parks. In early 1990, Wilson also wrote on few tracks with Jellyfish, a power pop band, which remained hidden. In the mid-1990s, Wilson returned to the Beach Boys for sporadic recording sessions and live performances. In 1998, Brian Douglas Wilson collaborated with Chicago-based producer Joe Thomas for the album Imagination. After that, he achieved huge vocal coaching for improvement of his voice, learned to adjust with his stage fright, and began to perform live for the first times after decades. The following year, Wilson filed a suit against Joe Thomas seeking damages and an announcement which freed him to work for his another album which the involvement of Joe Thomas. The suit was filed after Thomas started to boost his industry profile and cruelly enrich himself throughout his collaboration with Wilson. 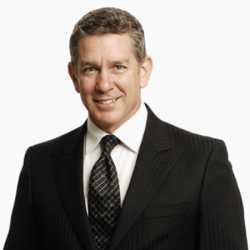 Thomas reciprocated with a suit referring that Melinda Wilson '' schemed against and manipulated'' Wilson and him. The case was solved out of court. Brian Wilson's third solo album Getting In Over My Head featured his association with Eric Clapton, Elton John, Paul McCartney, and brother Carl, who passed away due to lung cancer in 1998. Brian Douglas Wilson released That Lucky Old Sun in September 2008. The track was first debuted in a series of September 2007 concert at London by Royal Festival Hall. In 2009, Wilson signed a two-record contract deal with Disney after he was offered to record an album of his interpretations of classics Gershwin songs, and allowance to incomplete piano pieces by Gershwin for possible expansion into finished songs. The result of the album, Brian Douglas Wilson Reimagines Gershwin, was released in August 2010 on Disney's Pearl label. Brian Wilson Reimagines Gershwin gained number 1 position on the Billboard Jazz Chart and sold more than 53,000 copies by 2011. In late 2011, Al Jardine reported that the Beach Boys would reunite in 2012 for 50 American dates and 50 to 60 overseas dates. The Beach Boys released their new album titled That's Why God Made the Radio on 5th June 2012. Wilson and Marilyn's family were dismayed by Brian Douglas Wilson's continuous deterioration and were afraid to payroll him as a good partner in the Beach Boys tour. They hired the services of Eugene Landy, a radical therapist in October 1975. Landy analyzed Wilson as a paranoid schizophrenic, and the treatment that caused more suitable, socially active Brian Wilson who productivity became better again. The hook line Brian's Back became a main promotional factor for the Beach Boys' new album 15 Big Ones. The record was released in 1976 via commercials and reached number eight on the Billboard album chart. Wilson returned to his regular stage shows along with the band alternating between bass and piano, also made his solo appearance on Saturday Night Live in late 1976. Wilson was focused that he wanted to record another track on par with the achievements from Pet Sounds. Wilson was under Landy's treatment care for 14 months until 1976 December, when the therapist was dismissed for a dispute on his monthly fee. After Brian Douglas Wilson overdosed with a combination of cocaine, alcohol, and other psychoactive drugs, Landy was hired once again, and an essential program was undertaken to restore his health conditions. 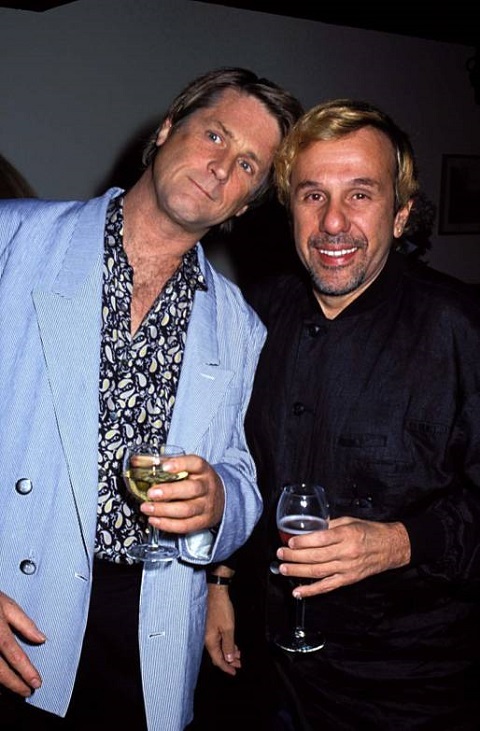 This also involved Wilson removing from the Beach Boys on 5th November 1982 at the behest of Mike Love, Al Jardine, and Carl Winson, additionally, he was isolated from his friends and family in Hawaii, putting him on a health regimen and rigorous diet. As per Carolyn Williams, Brian Douglas Wilson denied seeing Landy. They convinced him that it was the only way that he could be a member of the Beach Boys again, and the single way they would allow his 1982 tour money if he would agree to meet Dr. Landy. Wilson began yelling that he disliked Landy and was charging him $20,000 per month. Landy also described the program that admitted Wilson in The Handbook of Innovative Psychotherapies. The success of twenty-four-hour therapy rests on the extent to which the therapeutic the team can exert over every aspect of the patient's life. The goal is to totally disrupt the privacy of the patient's life, gaining complete control over every aspect of physical, personal, social, and sexual environments. After a long, and extreme counseling sessions, the therapy resulted in success in making Brian Douglas Wilson back to normal. The therapy given by Landy made a Svengali-type surrounding for Wilson controlling every part of his life, including his musical direction. From 1983 to 1986, Dr. Landy charged Wilson $430,000 annually. When he demanded more money, Carl Wilson was committed to giving away a quarter of Brian Wilson's properties. 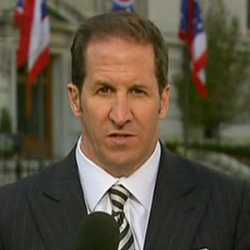 Brian Douglas Wilson's net worth is estimated to be $75 million as of 2018. He earns a heavy amount of money as a record producer, songwriter, musician, and singer. With such a huge amount of net worth, Wilson lives in his luxury mansion in Beverly Hills. The house is built on 9,353 square feet area, with 7.5 bathrooms and six bedrooms, 7.5 the Mediterranean in guard gated Mulholland Estates, Chef's kit w/2 islands, Butler's pantry and wet bar. Other features including, vanity, spa tub and steam shower, Courtyard, pool/spa, and grassy area. The house is worth $8,495,000. Wilson's another vacation home in California, built in 4,500 square feet, with two-story entry, a chef's kitchen decorated in a white subway, a dining area and a living room with a fireplace. The master suite also consists another fireplace with five bedrooms and four and a half bathrooms, with elevator. 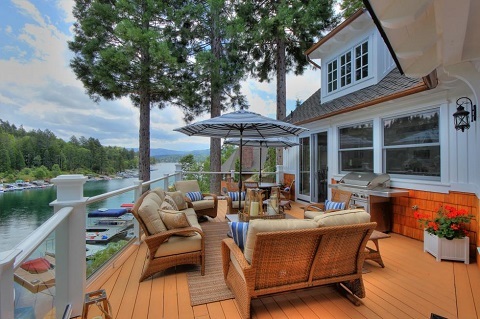 Brian Douglas Wilson and his wife Melinda bought the house for $2.1 million five years ago. Currently, the house is on sale for $3.3 million. He also sold his house in Chicago suburbs for $1.49 million. The house has five bedrooms, two master suites, nine fireplaces and six bathrooms. He also earns money from his albums which are available on online store including eBay, which costs ranges from £15 to £30. Wilson has spent a lot of money in consumption of weed, sandwiches, and LSD which went $30,000 ($220,000 currently). Brian Douglas Wilson has been married two times. From 1964-1979, Wilson was married to Marilyn Rovell. The pair shares two daughters together Carnie Wilson and Wendy Wilson. 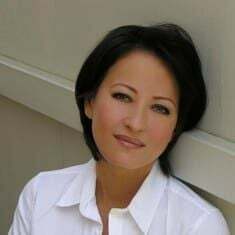 In 1995, after divorcing the first wife, Wilson married to Melinda Kae Ledbetter, a former model, and a car saleswoman. The pair met for the first time in 1995. The duo shares five children together, three daughters Delaine Rae Wilson, Daria Rose Wilson, Dakota Rose Wilson, and two sons Dylan Wilson and Dash Tristan Wilson. The pair dated for three years as Wilson's personal doctor Landy ended their relationship. In 1992, the couple met again and got married.